Across the Third World, people grew up reading inexpensive, beautifully-produced books from the Soviet Union – children’s books, classics of world literature, books on science and mathematics, and works of Marxist theory. The first half of The East Was Read is an homage to the lost world Soviet books. Wang Chaohua and Pankaj Mishra recall with fondness the meaning of these books for their very different lives in China and in India respectively. Deepa Bhasthi goes on an emotional journey into the library of her grandfather, a communist intellectual. Rossen Djagalov writes a short history of Progress Publishers. Ngũgĩ wa Thiong’o talks about how he wrote Petals of Blood in Yalta on the sidelines of the Afro-Asian Writers’ Association in 1973. Sumayya Kassamali writes about Faiz in Beirut, giving us a sense of the cultural worlds that drew in both the Soviet Union and the Third World Project. The second half of the book pivots from the page to the stage. Maria Berrios brings an artist’s eye to the cultural world of socialist Cuba. Sudhanva Deshpande identifies a momentum in socialist cinema, from the early Soviet period to the early Cuban period. Revati Laul reminds us that watching a Soviet ballet or reading a Soviet book can have an impact in other times and other histories. 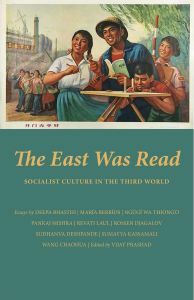 The East Was Read is a treasure trove of sparkling essays on the impacts of socialist culture in various parts of the Third World. This is a must-have book for bibliophiles, cinephiles, for lovers of reading, watching, listening. Deepa Bhasthi is a writer based in Bengaluru. She occasionally works on contemporary art projects. Her research interests are in the areas of sociolinguistics, land/landscape and food politics. Maria Berrios is a sociologist and independent curator. Apart from collaborative art projects, she writes extensively on art and politics in Latin America. She is the co-founder of the editorial collective vaticanochico and lives and works between Santiago de Chile and London. Ngũgĩ wa Thiong’o won the Lotus Prize for Literature in 1973. He is the author of such celebrated novels as Weep Not, Child (1964), A Grain of Wheat (1967), Petals of Blood (1977) and Wizard of the Crow (2004). He faced harsh repression for his work, including a year in prison, where he wrote Devil on the Cross on prison-issue toilet paper. Pankaj Mishra is an award-winning essayist, travel writer and novelist. 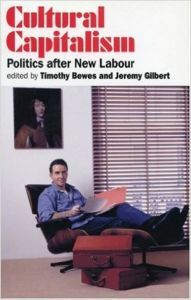 He is the author of The Romantics (1999). His most recent book is Age of Anger: A History of the Present (2017). Revati Laul is an independent journalist and film-maker. She is the author of The Anatomy of Hate (2018). The book is the first-ever account of the perpetrators of the 2002 pogrom against Muslims that took place in the state of Gujarat in India. Revati has worked for NDTV and Tehelka, and also written for publications like The Quint, Scroll.in and The Hindustan Times. She is based in New Delhi. Rossen Djagalov is an assistant professor of Russian at New York University, a research fellow of the Poletayev Institute for Theoretical and Historical Studies in the Humanities, HSE , Moscow, and a member of the editorial collective of LeftEast. 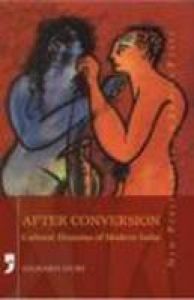 His book From Internationalism to Postcolonialism: Literature and Cinema between the Second and the Third World is published by McGill-Queens University Press. Sumayya Kassamali is an anthropologist whose work focuses on urban violence and migration in the Middle East. She holds a PhD from Columbia University (2017) and is a postdoctoral fellow at the Mahindra Humanities Center at Harvard University. Wang Chaohua is a researcher who has a doctorate in modern Chinese literature and culture from the University of California, Los Angeles. She writes regularly on Chinese politics and has edited a collection of essays, One China, Many Paths (Verso, 2003). She lives in Los Angeles.